I got some shocking news today. 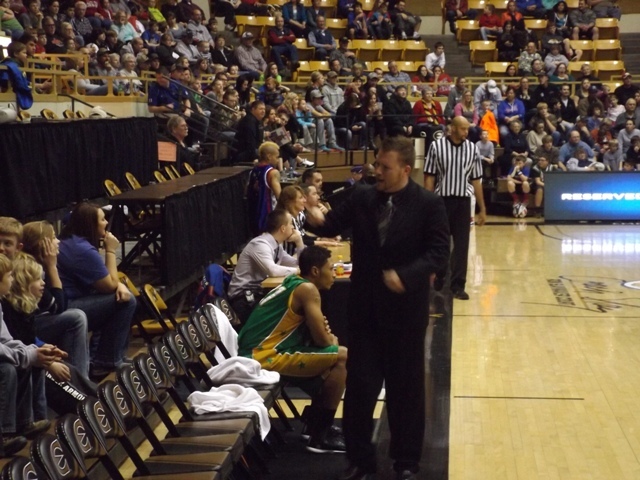 The Washington Generals, the longtime and mainly hapless foils to the Harlem Globetrotters, had been fired by the Globetrotters recently. 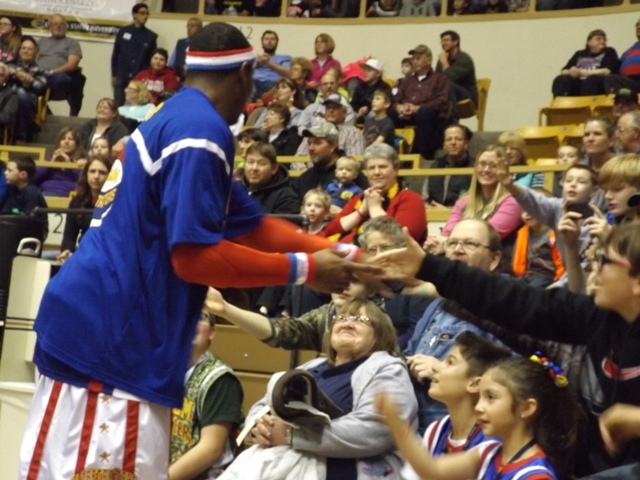 The Globetrotters came to Emporia’s White Auditorium back in mid-January for their first appearance in some 50-plus years, according to a lot of folks. Since I took my daughter to the game, I figured I’d get her perspective. I knew that was coming. Part of the “game” was the Generals were the equivalent of World Wrestling Entertainment’s heels, and they played the part quite well — with the head coach even getting into the act. In fact, it sounds purely financial. By all accounts, the Globetrotters feel they can have another opponent for cheaper than they have to pay the Generals. And with that comes an end to 63 years of mad basketball skills, side-splitting sight gags, some great basketball talent on both sides of the scorer’s table….and an eye-popping win-loss record. It’s well-documented the Generals have won six games. In 63 years. It’s not documented how many games they have lost, but the range is anywhere from 14,000 to over 16,000 games. So you’re looking at a .004 winning percentage for the Generals. Or something like that. If this was a different setting, an actual sport setting, nobody would shed a tear about this “rivalry” — because there was no rivalry to be had. You can’t pump up a rivalry if you don’t win. Simple as that. Those who grew up watching the Globetrotters-Generals matchups on ABC’s Wide World of Sports, like I did, know there was more to the relationship than that, although I didn’t realize just how much theater was involved in the show. Again, I use the WWE model as an example. Take out the sight gags like the depantsing or some of the jokes. What I remembered from the late 1970s and 1980s were a bunch of families laughing uproariously at what they saw. What Bella and I witnessed in January was a light version of good versus evil. 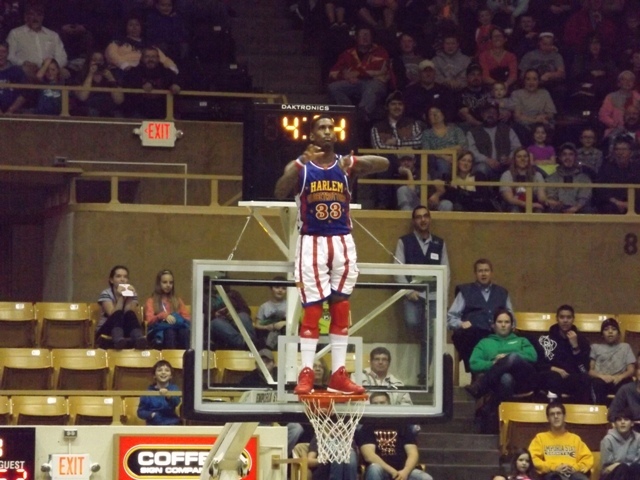 The Globetrotters had to win, especially after some of the illegal moves foisted upon them by the guys in green and gold. Maintaining the Globetrotters’ winning streak was the equivalent of maintaining the right world order. A loss, well, that was just not acceptable. The earth would come off its axis or something. Bella drank it all in. Soaked it up like a sponge. And that was before she got a chance to go out to center court and spin a ball on her finger, something I have never been able to do. 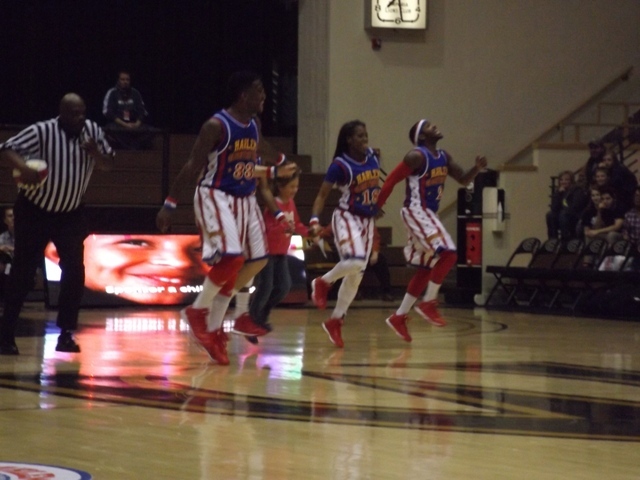 By the way, the Globetrotters won — although barely. The Generals had a chance to win their first game since — get this — 1971, but a long shot missed at the final horn. Something tells me the opponent will have a different mission, but the show will go on and the mission will be the same. And something tells me Bella could be a Globetrotter some day, fighting the fight of good versus evil in a small way on a basketball court.